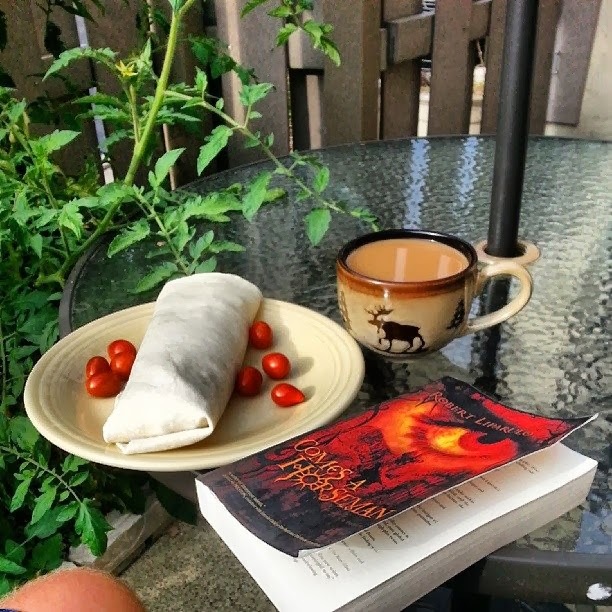 By the doctor's request, I have been taking some time out to relax a little more and enjoyed some coffee and breakfast on the patio during my mornings off. I go back to the street Monday reporting. 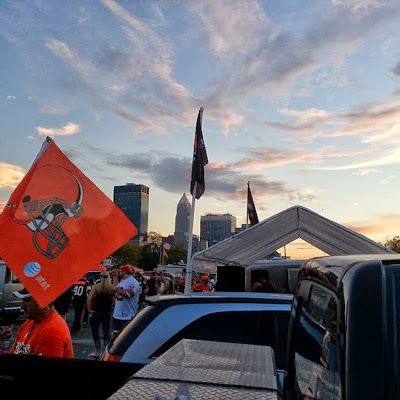 I went up to Cleveland Thursday for the Browns game. Gotta love 3-2 record after an 0-2 start! I have also been getting my bikes ready for my 200 mile moped trip. 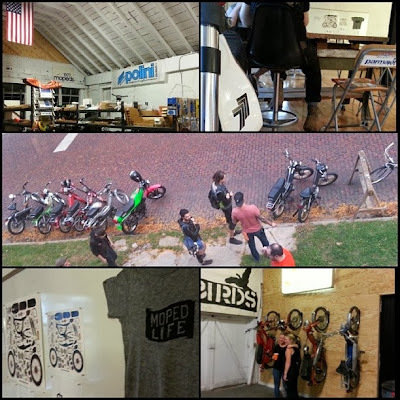 I decided to go with #MopedAdventure for all my adventures I plan on uncovering. My clutches are ready, I am running the WSL pipe, but also got my Proma Circuit back to 100% thanks to Taylor. Just need to pick up some extra spark plugs and I am ready to rock! 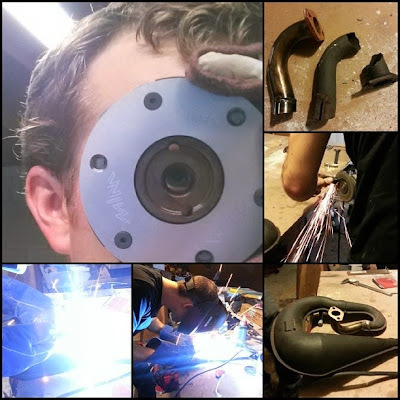 I took up a supply of parts from Handy Bikes to 1977 Mopeds in Kalamazoo, Michigan. I was already planning on going because of their Grand Opening of the new headquarters. The opening party was a great success and I learned a LOT from some very knowledgeable people. 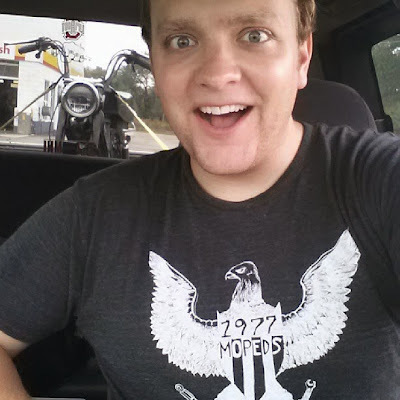 Oh... and I picked up a Le Moped and got it running before the party. It died three blocks down the road, but I am sure it is the silly, dirty Gurtner carb. Good thing I have a SHA ready to rock and roll! Oh... and speaking of the #MopedAdventure... the weather looks FANTASTIC!!! As far as the weather for Sunday night into Monday... things could get a little hairy. Most of Ohio is under a Slight Risk for severe storms. The main threat will be straight line winds with the storms. I think some spotty rain will be around early Sunday, then a dry spell, then more storms later in the afternoon and evening as the cold front pushes through overnight. A few morning storms Monday then another dry spell followed by some light spotty showers later in the day as the upper level Low Pressure moves above us off to the east. Then we dry out and cool off! 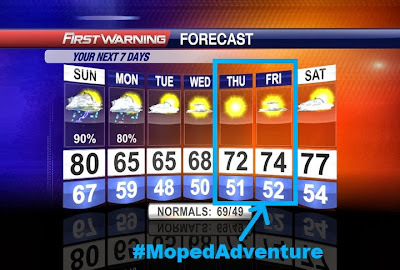 Should be nice later in the week... maybe for a #MopedAdventure! (I plan on posting signs with the hashtag on the bike so if anyone sees me then they know what to tag it as... I have always wanted to do that at rallies) Anyway, have a good one!